A slight 0.3 per cent fall in residential property values across the country in December augurs a continued slowdown for 2018, a property data firm has argued. According to the CoreLogic home value index for December 2017, Australia is experiencing a “clear but gradual” transition towards weaker housing market conditions, and these conditions are set to flow through to 2018. Head of research at CoreLogic, Tim Lawless explained: “From a macro perspective, late 2016 marked a peak in the pace of capital gains across Australia with national dwelling values rising at the rolling quarterly pace of 3.7 per cent over the three months to November. “In 2017 we saw growth rates and transactional activity gradually lose steam, with national month-on-month capital gains slowing to 0 per cent in October and November before turning negative in December,” he continued. CoreLogic said December’s 0.3 per cent fall triggered a drag in quarterly capital gains results to the point of negative gains. This was the first time it had occurred since the three months ending April 2016. Further, the national dwelling values growth of 4.2 per cent in 2017 marks a slower pace of growth than 2016’s 5.8 per cent and is less than half the size of 2015’s 9.2 per cent increase in dwelling values. The slowdown can be attributed to falling dwelling values in the capital cities, with combined capitals marking falls of 0.5 per cent at the same time combined regional areas marked 0.5 per cent growth. 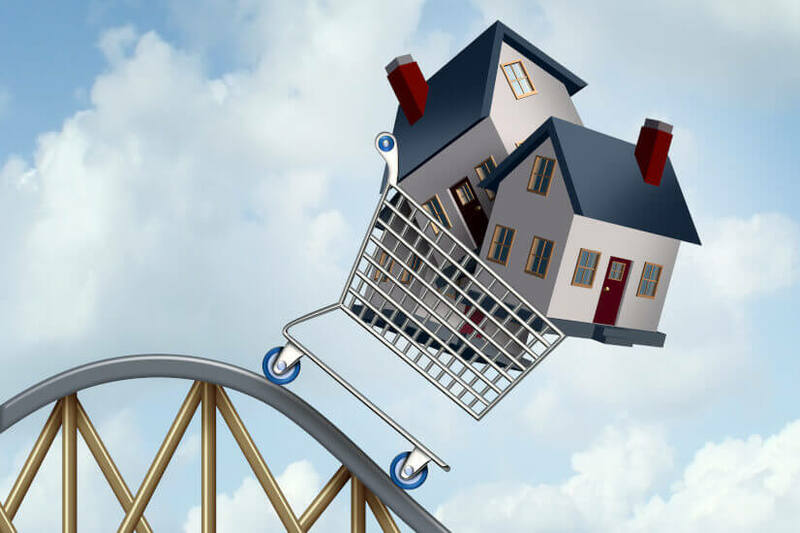 “In 2018, the housing market performance is likely to be significantly different relative to previous years,” the researcher said. He said the falling values are the result of macroprudential tightening measures by the Australian Prudential Regulation Authority (APRA) in 2017, noting a similarity in trajectory to 2015/16, during which period APRA also introduced tightening measures. “Capital city dwelling values fell by 1.6 per cent between late 2015 and early 2016; with falls more substantial in Sydney where investment activity has been more concentrated,” he explained. Further, Mr Lawless warned that the housing market probably won’t be aided by lower interest rates or loosened credit conditions, arguing that regulators will be scrutinising lenders’ credit policies and trends and in particular investment and interest-only lending. “The next move in interest rates is more likely to be up not down,” he added. “Although credit policies are likely to remain tight, we expect mortgage rates to remain low in 2018, providing a positive lending environment for those who are able to secure credit." Households with high levels of debt are likely to be encouraged to reduce their debt as household debt levels sit at record highs. Potential buyers and in particular investors could find that APRA restrictions continue to increase the difficulty of securing a loan. "Lenders are likely to remain cautious around lending in higher risk areas such as inner city apartment markets where current and pending supply pipelines are substantial," CoreLogic said. 2018 will see tightened labour markets and a "renewed trend" towards full-time rather than part-time jobs. Further, jobs growth in Queensland, Western Australia and South Australia will see overall growth become broader based. This firmer market will in turn boost consumer confidence, mortgage serviceability and possibly lead to wage growth. Higher migration rates will continue, further pushing up demand for housing across the country.